A visit and ocular inspection made by a team of international experts on cruise tourism development has fortified this city’s bid to become one of the country’s next voyage destinations. The team, which city mayor Noel Rosal ushered over the week to the proposed site of the international passenger cruise terminal project approved by the Tourism Industry and Enterprise Zone Authority (TIEZA), was composed, among others, of Ted Blamey, Rod Davies and Luigi Nappa of Chart Management Consultants. Tapped by TIEZA to conduct strategic review of the viability and future direction of the Philippines’ cruise line industry, the United States and Europe-headquartered consultancy outfit serves cruise lines, governments, ports and destinations worldwide, delivering expertise in strategy, performance improvement, new business development, growth and competition. In an interview, Bradley, the firm’s principal consultant, said they were helping the country identify new opportunities and capitalize on the growth of the global cruise industry. “We deal with the global market and competitive assessment, then guiding the product positioning, marketing and distribution of strategies to establish a new world-wide luxury line,” he said. Also with the team was consultant Maria Ruzzela Quila of the United States Aid for International Development (USAID), which has also shown interest on the city’s cruise terminal project. 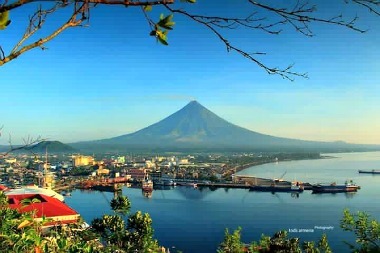 “The team was very much awed by the proposed project location within a sprawling site along the Legazpi Boulevard as well as by the city’s cruise tourism prospects supported by marvelous destinations, products and facilities,” Antonio Reyes Jr., the City Tourism Office chief, told the Philippines News Agency on Friday. The group stayed around for two days, holding meetings with concerned agencies, city officials and tourism facilities operators and touring on several local tourist attractions before going back to Manila and leaving behind a message that “they were mesmerized by the city as the country’s next cruise tourism destination,” according to Reyes. Earlier this year, TIEZA, acting on a proposal submitted by Rosal, approved the allocation of some Php400-million funding aimed at jump-starting the construction of the project along the shoreline here of Albay Gulf. The proposed project involves the construction of a seaport that can accommodate a 300-meter-long tourist cruise ship which, according to the Philippine Ports Authority (PPA), is good enough to accommodate the standard size of an international cruise vessel that measures from 250 to 300 meters in length. Rosal said that if the project is completed five years from now, Legazpi will be the second city – after Tagbilaran City in Bohol – to have an international cruise terminal. It will be located less than a kilometer from the PPA-managed city harbor and within the site of the new urban center, an extension of the city’s fast-congesting commercial district. This proposed international maritime facility is included in the blueprint of the development of the new urban center that involves a Php300-billion project consisting, among others, of the reclamation of a vast portion of an area at the southern coast designed to further accelerate the city’s development as Bicol’s leading investment and tourism hub. This multi-billion-peso project was started by the city government with the opening of Legazpi Boulevard, a four-kilometer four-lane seaside concrete road that is now being extended towards the Southern Luzon International Airport (SLIA). The SLIA, now ongoing construction within a 200-hectare plateau in Barangay Alobo, Daraga, Albay, 10-kilometers from the city proper, is expected to start operations in 2017 to become a testament to economic growth propelled by the fast-growing trade and tourism industry in Bicol. “We are developing this new urban center through the help of the national government and private investors from here and abroad under a Public-Private Partnership (PPP) scheme,” he said. The Legazpi international passenger cruise terminal, according to him, is designed as among the hubs for cruise liners in different ports of the country that include Davao, Bohol, Boracay, Cebu, Metro Manila, Puerto Princesa, Subic, Zamboanga and Aparri which make the major nautical cruise arteries of the Philippines -- now one of the major cruise destinations in Asia. Designed as a massive addition to the country’s vibrant waterfront facilities, this proposed cruise terminal commands a prominent location with the picturesque Albay Gulf as its base and the majestic Mt. Mayon as its backdrop.